Prince of Poverty: ΟΤΗΟΝ & TOMASINI Live at SIX D.O.G.S. 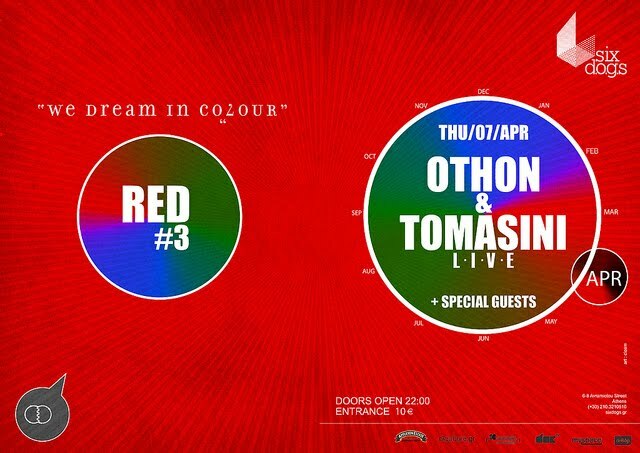 ΟΤΗΟΝ & TOMASINI Live at SIX D.O.G.S. for We dream in colour project on stage of SIX D.O.G.S. Up and coming cutting edge, London-based duo Othon & Tomasini, have thrilled audiences all over Europe with their electric, unorthodox performance style. Othon’s uncompromising songwriting and virtuoso piano playing perfectly match Tomasini’s staggering 4 octave range and idiosyncratic theatricality. They mix and tease cabaret, pop and punk with opera histrionics and post romantic melodrama, moving from the darkest corners of the psyche to the most joyous spaces of the human heart. 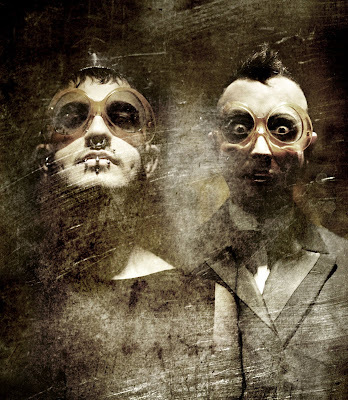 Othon’s first album, which includes performances by Tomasini, Marc Almond and David Tibet (of Current 93) was released in 2008 to huge critical acclaim. His second album, with Almond and Tomasini back as guest singers, this time alongside Irish diva Camille O’Sullivan, is set for a 2011 release. Othon & Tomasini also feature on the soundtrack of Bruce La Bruce’s movie “Otto; or, Up with Dead People” and have perfomed live on Spanish National Radio. Having notched up a strong European following, their appearances in London so far include a performance at the 2008 London Fashion Week (for head-designer Nasir Mazhar), a concert at the Queen Elizabeth Hall last year and a spot at the Roundhouse where, as Marc Almond’s special guests, they performed before a captive audience of 3000. In 2010 they made their West End debut at the Leicester Square Theatre and played to capacity at the National Portrait Gallery. They now bring their explosive, alternative repertoire to the historical Teatro Lara in Madrid on November 15 and Teatro Jofre in Ferrol on November 17. Othon & Tomasini are Greek composer/pianist Othon Mataragas and Italian actor/singer Ernesto Tomasini. 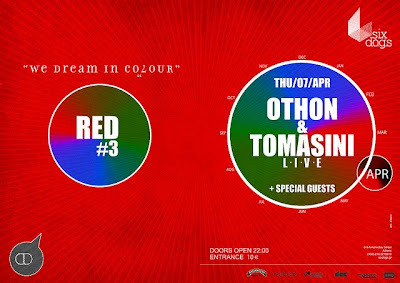 “We dream in colour”, is the title of the new Live music project, curated by six d.o.g.s (www.sixdogs.gr) and Angelos Petroutsas (Prince of Poverty), that consists of seven live concerts in the Gig Space of six d.o.g.s venue in Athens Greece, one each month, starting from February 2011, of seven music artists, and the release of seven 7” byTourette Records, USA (www.touretterecords.com), in which the artists shall compose original score for the project. Each month, and each artist has been assigned with one colour. A “journey” from the moon to the sun, from silver to orange, a colour of the spectrum of the rainbow has been chosen and assigned to each artist and all together form a musical bridge of colours that starts from Athens and leads into dreams and sharing them with catalyst and compass the music.